The objectives of this project will be achieved through a series of activities summarized below. A. Preparatory actions: field surveys and literature review of Roncovetro and Sallent sites will be performed by respectively RER and IGC. After that, the Wi-GIM system requirements will be discussed in detail considering the specific characteristics of the target areas. ICAD will be responsible for the design of the devices, as well as the overall WSN. The preparatory actions will also include a LIDAR survey performed by INGV and the implementation or adaptation of a conventional monitoring system necessary to assess the accuracy and benefits of Wi-GIM. B. Implementation actions: ICAD will assemble a suitable number of SN (80) and BS (10) devices. 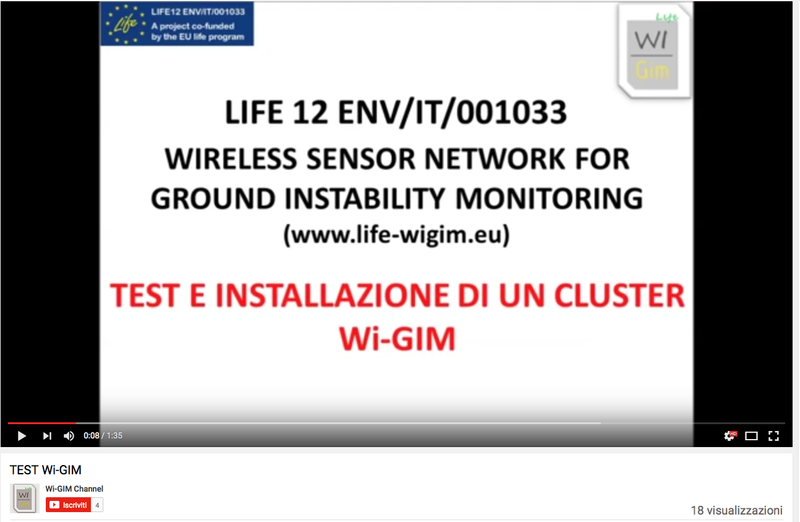 The sensors will be organized in a network and installed on the test area and monitoring Wi-GIM will start. INGV will implement a GIS that will contain and display all the collected data, the location of BS devices and, during the monitoring, the x, y and z position of each SN. For the Roncovetro site the GIS will use the high resolution digital elevation model (DEM) acquired during the LIDAR survey as a base reference. 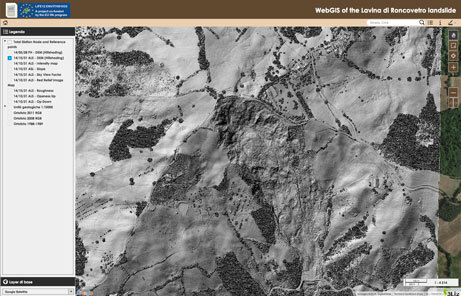 A Web-GIS page will be created displaying the georeferenced data in a proper form. DSTUNIFI will use Wi-GIM data in order to evaluate the hydrogeological hazard for early warning purposes. C. Monitoring of the impact of the project actions. The real-time web publication of the monitoring activity guarantees that the Wi-GIM functionality will be continuously checked. 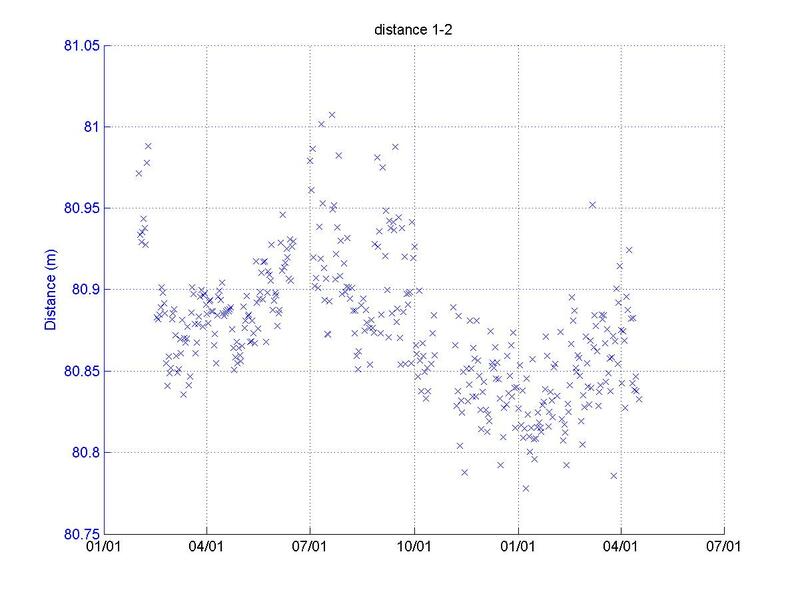 In order to assess the performance of Wi-GIM system, DST-UNIFI will compare the collected data with the ones obtained from parallel traditional monitoring systems.